“It instead seeks to provide a layer of protection for those who may fall victim to scurrilous and defamatory articles and to ensure that such comment does not impact upon issues of religious sentiment or national security,” the foreign ministry said. The embassies of Australia and Canada meanwhile joined the chorus of concern yesterday. 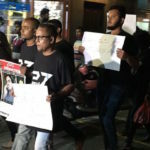 After the revised defamation bill was submitted last month without addressing concerns raised by the media, a group of journalists launched a campaign warning that the proposed law would be the death knell of press freedom in the Maldives. 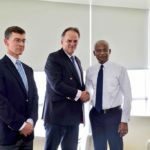 The bill prescribes fines of up to MVR2 million (US$130,000) and a jail term of up to six months for those unable to pay the fine. It also authorises the state’s media regulatory bodies to take action against media organisations without conducting an inquiry. But the foreign ministry said the bill “foresees a multi-stage process” for the broadcasting regulator and the media council to penalise media outlets. “It may also be deemed appropriate for a financial penalty to be imposed,” the ministry explained. “It is only after the financial penalty is not paid within the specified timeframe that the matter is referred for police investigation, and thereafter, referral to the Prosecutor General for a decision as to charge. The government also stressed assurances made at the parliament yesterday by Majority Leader Ahmed Nihan, who pledged to address legitimate concerns raised by journalists during a review by a select committee. 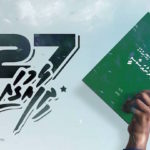 However, the revised bill was submitted despite previous assurances from Nihan, who withdrew an earlier version of the bill after meeting with the Maldives Media Council. 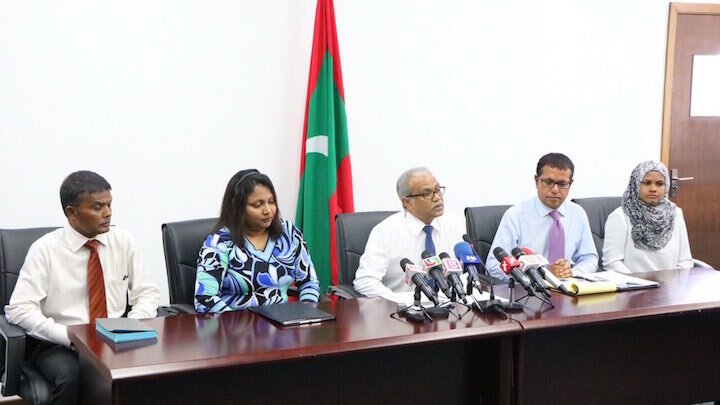 The MMC urged the ruling party on behalf of the Maldivian media last week to withdraw the legislation. Instead of narrowing or restricting fundamental constitutional rights, the council said the bill would “deprive” the public and journalists of the rights to free speech and a free press. After a heated debate yesterday, the bill was meanwhile sent to a ruling party-dominated 11-member committee, which promptly held a meeting and elected a chair and deputy chair. Chair MP Abdulla Khaleel reportedly adjourned yesterday’s meeting after announcing that the rules of procedure would be passed at a next meeting. He did not announce a date. Khaleel has since been posting information on defamation laws in Western countries in a series of tweets. The foreign ministry also went on to criticise the joint statement for seeking to “advance a notion of freedom of expression that is in fact restricted in four out of the five countries which are signatories to the statement”. “Similarly, 23 out of the 28 Member States of the EU also have criminalised defamation,” it added. 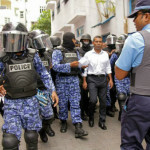 The government also denied that the proposed law would either impose severe penalties on the exercise of democratic rights or violate the Maldives’ obligations under international law. “Both these allegation are fallacious and ill-informed,” the ministry said. Article 19 of the International Covenant on Civil and Political Rights allows restrictions on free speech in the interest of protecting reputation, national security, public order, public health, and morals, the statement noted. “It is therefore wholly incorrect to suggest that such legislation infringes either the [Universal Declaration of Human Rights] or the ICCPR,” it added. The statement concluded with an appeal for factual and objective commentary and urged “friends and partners” to be “constructive and responsible”. “The government is concerned that if such commentaries do not reflect all the facts surrounding the issue, it can be a source of misinformation,” it continued.